Straffan Manor has recently been announced as an award winning development in the Panasonic PRO Awards 2014. A Panasonic Aquarea heating and hot water system was installed in all 21 of the 5-6 bedroom luxury homes in Straffan Co.Kildare, Ireland. The Straffan Manor development was constructed by Mulberry Properties Ltd – a second generation family business, renowned for building prestigious homes in Ireland. 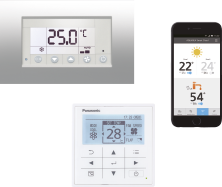 Panasonic PRO Partner Mick O’Shea Heating and Plumbing Ltd and Panasonic distributor Heat Merchants completed the team to bring this solution to life. The client, Mulberry Properties Ltd was dedicated to not only comply with building regulations but aspired to surpass them to set a new standard. “The building industry has evolved dramatically over the past 2 years, with major emphasis on several aspects of design and construction. This includes a whole new approach to insulation quality, air-tightness and highly efficient renewable heat and energy sources” explains Fergal Flattery of Mulberry Properties Ltd. The key objectives in the construction of these new homes were to ensure that they achieved an A2 building energy rating utilising renewable energy sources and exceed the requirements to reduce the carbon emissions outlined in Part L. In addition to building homes with the best possible infrastructure, the comfort of the future occupants was also of paramount importance. Mulberry Properties Ltd wanted to install a user friendly heating system that would be easy to operate and maintain now and in the future, as well as complement the overall aesthetics of the development. Other key features taken into consideration were energy efficiency, low running costs and minimal disruption or excessive ground works during the construction phase. Requirements for high efficiency in low ambient conditions and aesthetically pleasing units located away from the dwelling with a small footprint and no pipe work heat-losses were a challenge to the team. Mick O’Shea explained, “The utilisation of solar thermal technology combined with gas fired appliances in this project were briefly considered, but not selected in the final design of the heating system as it was determined that the changes to the fabric of the building and the required roof space for an adequately sized solar thermal installation were prohibitive”. In addition, the risk of Legionella in tanks for stored hot water was a concern, with the additional costs and adverse effects on energy efficiency of heating this water. 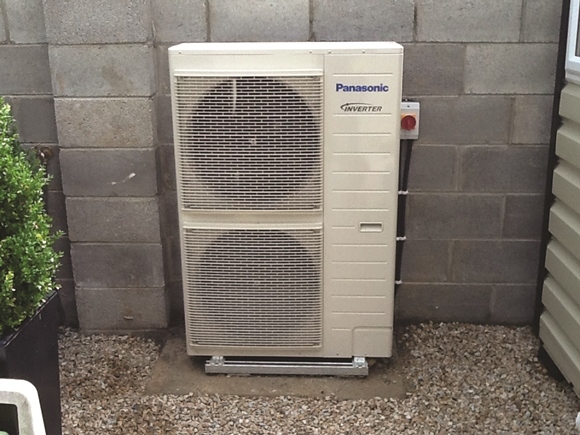 After extensive consideration between Shane Duffy of Heat Merchants, Mick O’ Shea and Mulberry Properties Ltd, it was decided that a system featuring a heat pump was the best option with the Panasonic Aquarea T-Cap heat pump being the preferred option for the Straffan Manor homes. This option offered the capability to integrate the heat pump with other additional renewable energy solutions, thus delivering high performance whilst remaining energy efficient and affording the added bonus of low running costs. The excellent build quality of the Aquarea units coupled with the availability of a local Panasonic service engineer sealed the deal. 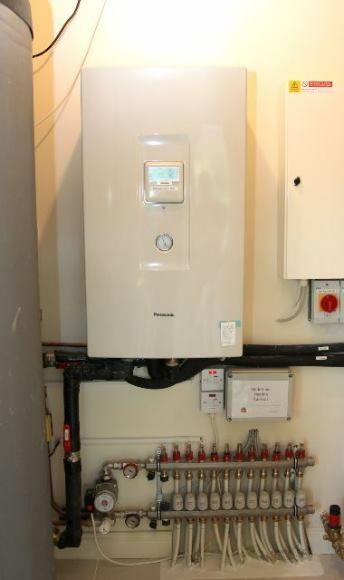 The new homes now benefit from the Panasonic Aquarea T-CAP 12kW split system, which generates 100% of the domestic hot water and heating needed for the homes all year round, without the need for back up from a supplementary system. 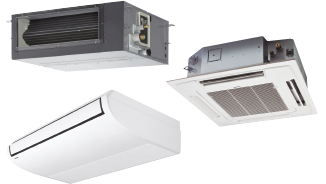 With energy saving being a priority, the energy consumption of the heat pump was offset through pairing it with a thermal store and photovoltaic panels. The requirement of heating stored hot water to eliminate the risk of Legionella and the associated increase in costs and decrease in energy efficiency was addressed by installing a Kingspan 540 Litre thermal store with domestic hot water coil. 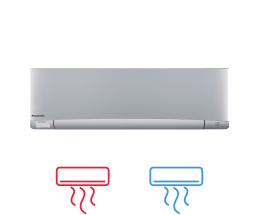 Unlike conventional systems, there is no need to prioritise between heating and hot water. 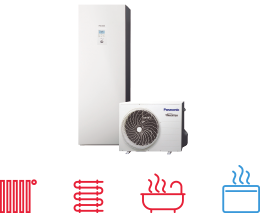 Due to the large volume of the thermal store there is never a dramatic drop in the temperature, allowing the Aquarea heat pump to comfortably recover the temperature. 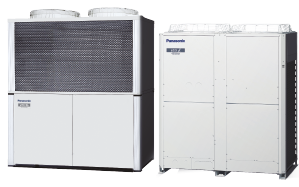 This solution maintains the efficiency of the heat pump keeping both energy consumption and costs to a minimum. 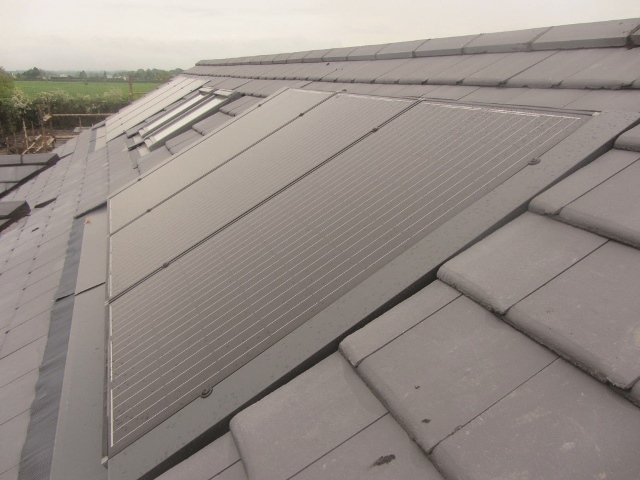 In-roof solar photovoltaic panels were installed on the houses in Straffan Manor to complement the Panasonic heat pump. This will yield approx 1530 kWh of energy per annum and avoid CO2 emissions of 1,356 kg per annum. (See attached support document). Photovoltaic technology was selected over solar thermal systems as the heat pump has already satisfied the thermal requirements and was deemed to already deliver both value and return on investment. The solar PV system delivers total carbon neutral energy with minimal maintenance required. It was also easily integrated with the architects design and allows for future expansion. “As the heat pump relies on electricity, the client felt that having the capability of generating electricity would add to the value that the heat pump delivers. The client also decided to use underfloor heating on the ground floor which is ideally suited for use with a heat pump and thermal store. The houses in this development are air tight and as a result when the ground floor slab is heated this will, in turn, heat the whole building. Underfloor heating achieves optimal results and efficiencies from the heat pump,” concluded Martin Flattery of Mulberry Properties.